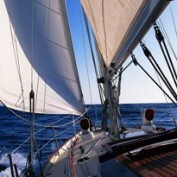 A main halyard is the line on a sailboat that hoists the mainsail to power a boat forward. That is my goal: to empower my readers with thoughtful and accurate articles that will inspire them to set forth on their own vessels. Good luck!